I think I speak for most of us when I say that it would be AMAZING to have a few extra hours in the day. There is just so much to do, and seemingly never enough time to get it all done. There’s a lot of talk about productivity techniques, but which ones really work and are worth the time to learn about and implement? 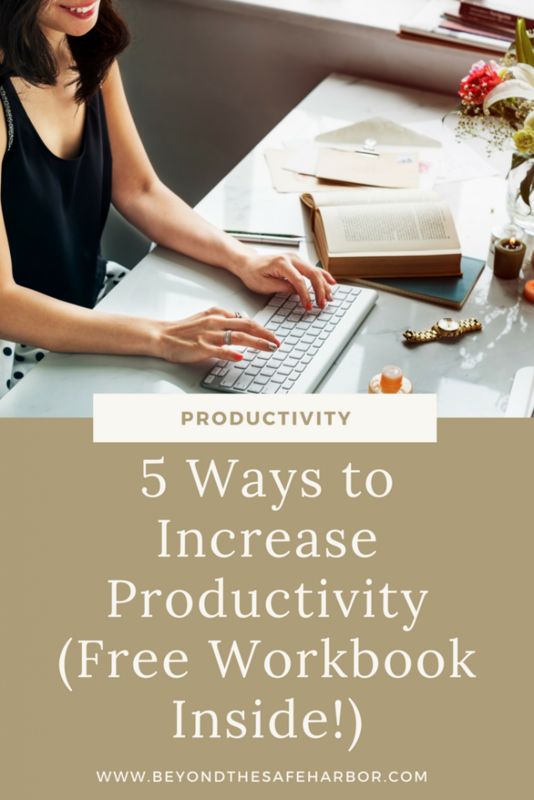 With that in mind, I’m excited to share 5 key ways to increase productivity. These are tried and true steps I’ve taken to get more of the right things done and consistently crush my to do list. To make this exercise as useful as possible, I’ve created a FREE workbook you can print out and use! Find it in the FREE Resource Library under Planning and Productivity. The very first way to get more of the right things done is to get direction by identifying your big picture goals. These will act as your “north stars”, giving you direction and clarity. The exercise of identifying your big goals will help ensure your daily activities are aligned to your bigger aspirations. For each key dimension of your life, list out your big goals: important things you’d like to achieve within the next year. 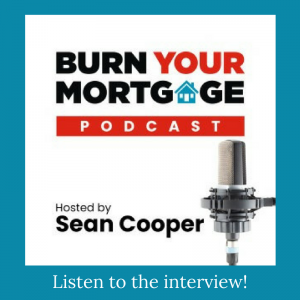 These areas may include Home and Family, Financial, Personal, and Career and Professional. You may find that you have lots of goals in some areas and fewer in others. That’s completely fine! 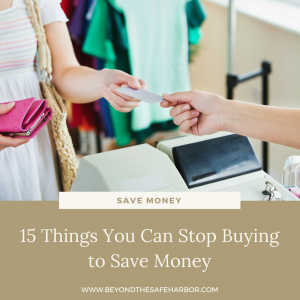 In fact, it will give you greater insight into the areas you may want to prioritize. What, if accomplished, would make the biggest positive impact on your life? More thought starters are available in the productivity guide. The next way to increase your productivity is to build and prioritize your to do list. Bonus: this gets all the ideas and reminders out of your head and out on paper! Use the template in the workbook to record your list. Add all the items on your current to do list plus any new items that come to mind as you review your goals from the prior exercise. These will likely include administrative to dos and tactics for achieving your goals. Next, rank order every item from most important to least important. You can do this by writing in a number in the “Rank” cell next to the item. Do this with a lens of focusing on what will be most pivotal in helping you achieve the goals you’ve identified in #1. Need some guidance? My post about project prioritization includes a FREE worksheet to help you prioritize each and every item on your to do list. Grab it here! With your prioritized to do list in hand, it’s time to plan your time in a way that leads to the greatest success. Here are some specific ways to plan for success. As you complete each step, check it off the list. For each day, using your list from #2 as a guide, identify the three most important tasks. Tackle these tasks from most difficult and/or time consuming to easiest and/or fastest to complete. Since things often come up throughout the day, this will improve your chances of getting them done. More ideas can be found in the productivity guide. And my post 3 Easy Steps to Finding Your Most Productive Time can help you plan your day. Now that you’ve identified your goals, prioritized your tactics to achieve them, and set a work plan, it’s time to move into execution mode! To really maximize your productivity, break down your work time into intervals. According to the Pomodoro Technique, working in 25-minute increments followed by short breaks can work wonders. I follow it often myself, and I find I get a lot done and avoid burnout. Set a timer for 25 minutes. You can either set a timer on your phone, on a physical timer like an egg timer, or through a browser extension. I use Marinara: Pomodoro Assistant for Chrome. When you hear the timer ring, take a 5-minute break. I’d recommend getting up and either stretching, going for a little walk (even around your office!) or completing a task away from the computer (like folding laundry). Learn more about this method in my post How to Use the Pomodoro Time Management Method. 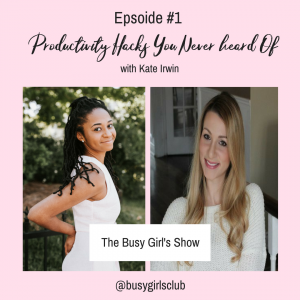 With #1-4 under your belt, you’re a productivity machine! But how do you stay focused and on task? Here are some suggestions for maintaining your success. As new opportunities and requests come up, don’t say yes automatically. See how they stack up to your big goals, and only accept new things that are aligned. If you do take new things on, be sure to prioritize them accordingly. Every few months, take a look at your goals and make any needed changes. You may find new goals have come up while others are either completed or no longer relevant. Then, repeat #2 of creating and prioritizing your to do list around these new objectives. Take a look at what elements have been working well and which ones haven’t. For example, has waking up at 5AM helped with getting things done but made you cranky? Maybe you can shift back the alarm or go to bed earlier. Have you been loving the Pomodoro Technique but only been using it every once and a while? Try to incorporate it into your daily routine. 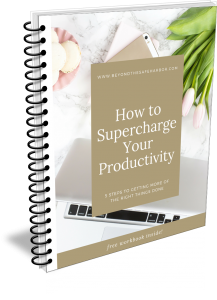 There you have it: 5 ways to supercharge your productivity and get more of the right things done. Be sure to leave me a comment letting me know how these techniques work for you. And don’t forget to download your free guide, located in the Free Resource Library. Want more productivity hacks? Check out my post 5 Radical Productivity Hacks to Transform Your Day.